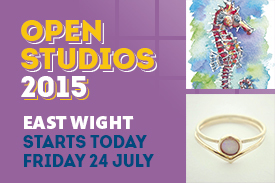 IOW Arts News - East Wight Open Studios starts today! East Wight Open Studios starts today! From Friday 24 July to Monday 27 July, artists across the east of the Island open their studio and venue doors to welcome the the public to this years Open Studios. Follow art trails across Ryde, Bembridge, Sandown, Shanklin and Ventnor and see the diverse range of artwork on offer, from handmade jewellery, painting, photography and ceramics to more unusual techniques such as Gerry Price's coastal garden sculpture in Bembridge and Carol Ann Eades fabric dyeing. 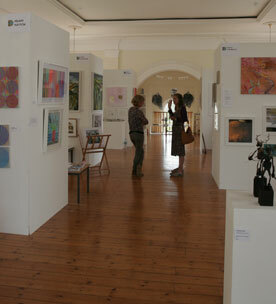 To view the trails and the artists taking part this weekend click here. Highlights include a collection of artists at Quarr Abbey in the former Bookshop, artists at the Depozitory in Ryde working from their individual studios. A new location for 2015 - Bullen Mead Barn & Market hosting a number of artists with work varying from handmade jewellery, experimental blue slipper clay paintings, land and seascapes, watercolours and TRAC the Ryde Art Collective. You will also find Becky Samuelson in her garden studio in St Helens and a new-comer for 2015 Open Studios - The Dotty Imaging Co, who create pen and ink art, watercolours and graphics exhibiting at The Garlic Farm in Newchurch. 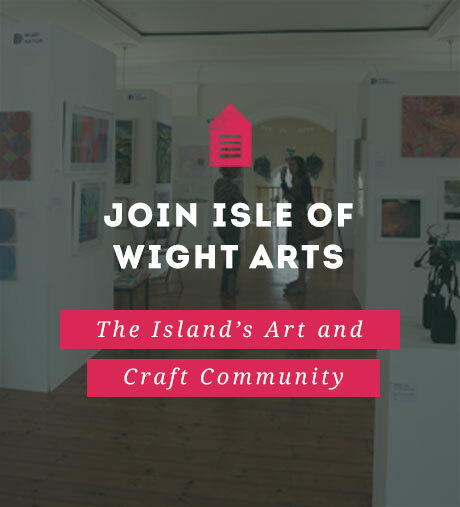 Open Studios is the perfect opportunity to explore the Isle of Wight and all the creative riches it has to offer, come and meet and remember entrance is FREE to all venues. To read more about Open Studios click here.